I am so excited about this book! What an absolutely amazing resource! Even as a current fine art student, I am finding this book so informative and helpful. 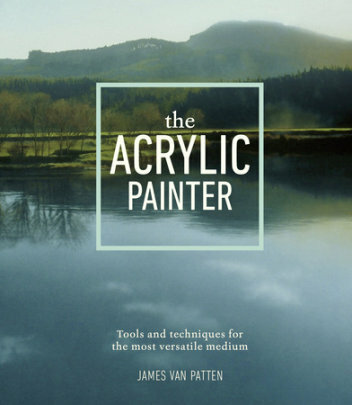 James Van Patten has taught acrylic painting for over twenty years and he sure knows his stuff. This book contains pretty much everything you need to get started and I think it would be great for someone who has never painted, through to people who are experienced painters. We can all learn from each others techniques and ideas. James takes us through painting right from scratch. He discusses acrylic paints, how to use them, color, how to start and finish a painting, materials and tools, techniques for acrylic. All of this based on his own experience or from the experience of colleagues or students. He discusses the types of acrylic paints, his preferences and why. He reviews brands, mediums, retarders, different brushes, different painting surfaces. He demonstrates canvas stretching and reviews other surfaces for painting. His section on color theory is really thorough. There is just so much in this book I love! You basically feel like you are in his class and benefitting from all his experience without actually being in a class. I would highly recommend this book! It's something I have been looking for, for a while now. Please note, I was sent a copy of this book for my review, however this review is entirely my own.